Did somebody say winter? Yes you heard it right winter. It is that time of year cleaning the front and back yard few times until there is no more leaves left to rake. You don’t necessarily need to be living beside a lot of trees but the wind has its own method of drifting. Cleaning around the house gives every home a fresh and clean start when the spring is knocking at the door. But before we go to fast, we need to make it thru the winter first. It takes a lot of dedication to take all the necessary steps to protect yourself and your loved ones from the cold winter days. For starters make sure your hydro and natural gas bills are paid up to date for any surprise delays during cold days. 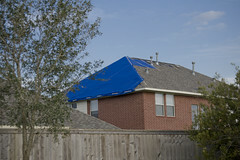 Your roof is in good shape and has been inspected by a professional roofing company. 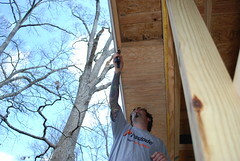 Any branch that is leaning towards your roof is a potential danger so trim it down. All the gutters are free from leaves, debris and maybe tennis balls. It may sound strange but I’ve seen it too many times. A clogged drain is a first element of a massive ice dam that could destroy your home and cost you a chunk. 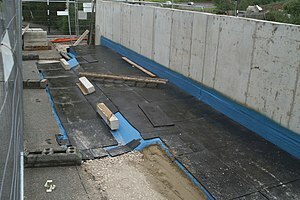 Make sure all the drains are functioning and water is being guided “away” from your foundation. If you have a low-pitched roof that is facing north, be sure to keep an eye on it because it can get messy especially when the thaw begins. Roof rakes are good to have but always hire insured and experienced roofing companies to perform the risky stuff, don’t take a chance. 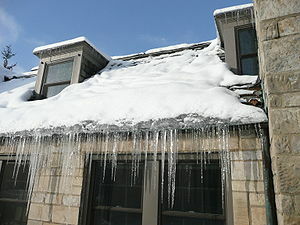 If you notice a leak, call your local roofing company to remove all the snow and ice off the roof. If you are located in the greater Ottawa and have a question or concern about your roof, siding, foundation or snow removal, feel free to send us an email and we will be more than happy to assist you. Lets start of with the common problems that is caused by rain when there is no gutters guiding the rain water away from your home. Normally is starts working its way along the foundation and causing cracks and damage along the foundation walls. Older home are more at risk because of the older structures did not come with waterproofing membrane like the newer homes. Foundation cracks and shifting in the foundation are few of the problems that is caused by water damage that could have been driven away from the foundation if there was proper gutters were installed in time. It doesn’t only cause damage to your foundation it also takes life away from your shingles if you have an upper and lower section of the roof. 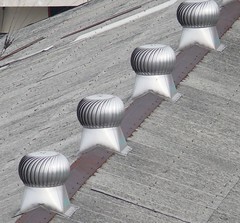 Metal valleys are installed along the dormers to drive the water off the roof. If the valleys are facing right over a lower roof, chances are lower roof will age way before the main roof itself. Also it is common to see drain pipes that are installed on the lower roof was not extended and where the water was gushing caused discoloration and premature ware. 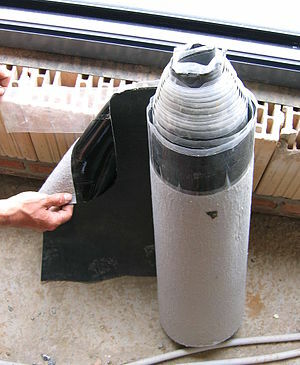 It is highly recommended to extend all the drain pipes in to lower gutters to eliminate similar problem in the future. When it comes to gutter systems there is nothing like seemless gutters. 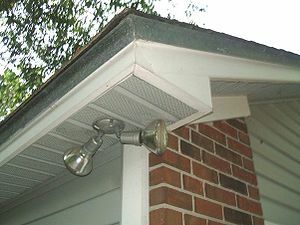 Sectional gutters are okay to but it doesn’t take very long for sectional to start dripping where the joints are. 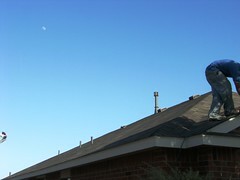 If you are planning to get gutters installed around your roof, do it right the first time. Clean your gutters twice a year before and after winter to allow water to flow.